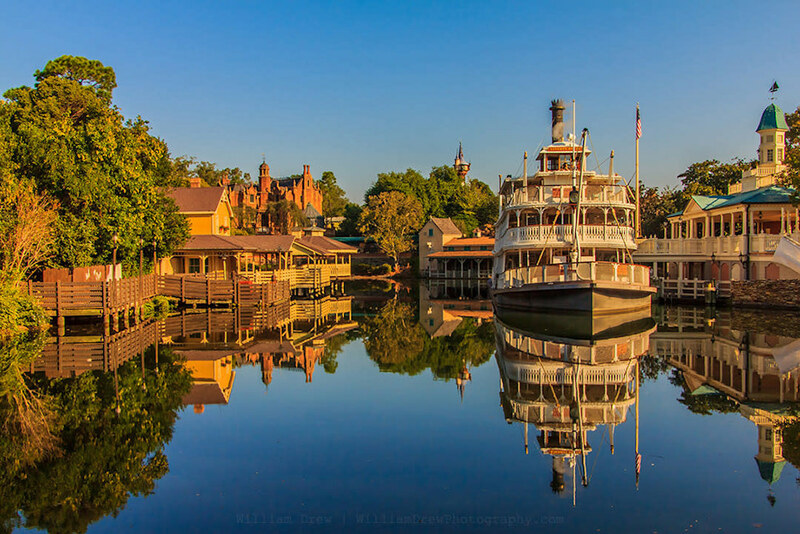 I had taken this photo in the evening, as many photographers have, showing the Liberty Belle lit up and reflecting in the water. Getting to this scene in the morning is an even better view than the evening photo opportunity. 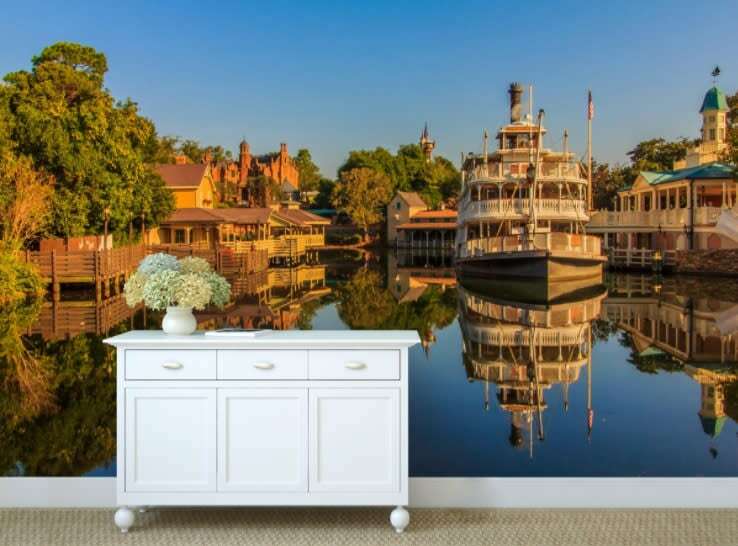 Seeing the morning light on the Liberty Belle, and the tower from Tangled and the Haunted Mansion are all a magical sight to see.